Dinosaur Jr's J Mascis releases his new 'acoustic' album Several Shades of Why, on February 15th. The album features appearances by many big names including Kurt Vile, Broken Social Scene's Kevin Drew, and Bed Bridwell of Band Of Horses. 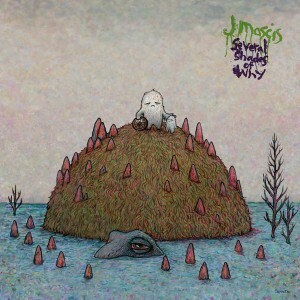 Mascis is now giving away the second track from the album, "Is It Done". The song premiered on Pitchfork this morning and should be available on his own website any moment now. J Mascis plays the Great Hall in Toronto on March 11th as part of CMW.